But then the thought festered somewhat, exposing certain insecurities into a standard that really wasn’t so secure in the first place. Why, indeed, did I use the four-star scale as opposed to the five? Certainly, a more compact rating system was more restrictive, especially for the kinds of movies that perform elaborate balancing acts in various grey areas that make it difficult to pinpoint them on such a narrow measure of quality. Five stars offer a freedom that is less crowded, allowing us to distinguish endeavors from one another on a hierarchy that allows for broader considerations. A quick glance through a bookmarks folder of respected film critics points to the potential benefit of adding an additional star to said system. Cole Smithey offers two rating scales, one of them being out of five stars. Film Threat’s amazing Phil Hall uses the same, to great benefit. Even the best of my online colleagues, Eugene Novikov at Film Blather, abandoned the four stars early on in exchange for the broad letter grade system, and appears to be doing wonders with it. On the flip side, James Berardinelli at Reelviews.net does still use the four star system, as does James Kendrick of filmdesk.com. And the grand master of film criticism himself, Roger Ebert, used the same in every one of his 46 years as a writer of cinema, even though he was also critical of it. There comes great risk with fewer possible scores, not the least of which is the idea that two movies so clearly in different realms of craftsmanship can land on the same point of the ranking map when they obviously don’t deserve to. I often think to movies of two extremes that became forever lumped together based on grades, such as “Far from Heaven” and “Austin Powers in Goldmember,” both of which I gave three stars when they were released. The latter earned its score based on being silly fun and a vast improvement over its predecessor; the former suffered from an underwritten subplot and a conclusion that lacked firm closure, but was nonetheless a very powerful and moving experience. In relative terms, both films at the time earned their stars based on how pros and cons weighed against one another. But still, is there any suspicion that Todd Haynes’ movie is not better than the other, perhaps from nearly every stand point associated with genuine filmmaking? Doubtful. Perhaps this is all proof needed to see that the system is not in synch with what movies require in order to be cataloged from one another on value. This opens another can of worms, however. Star ratings by nature are intrusive, and misleading; some might even say pointless. They exist not for much purpose other than immediate taxonomy to readers in search of single-note judgments, and our eyes are trained to see them before a single word of the actual review is read. So why do we bother using these systems if so flawed? Once upon a time, I believe for journalistic purposes, readers of newspapers and magazines loved the idea of a system of recommendation that allowed them (and the writers) to box someone’s work into a compartmentalized form of approvals and rejections – this became a map of what potential moviegoers should see, and what they should avoid. What the system reveals, unfortunately, is an antiquated approach compared to what we perceive as a more informed way of dealing with the cinema in writing today, especially as the outlets have broadened to include voices from all walks of life, and audiences have realized there is more to the concept than just a black and white endorsement. Star ratings also contradict a discernible perspective, which is that movies are not absolutes, nor are the experiences we have with them. Times change, people mature, and the eyes from which we view the movie screen become more informed and, therefore, condition the approach we take to cinematic endeavors, new or otherwise. Almost no film critic can ever fully stand by every rating they gave out twenty years ago, and to do so would be to perceive perfection in an imperfect medium. I concede to that quandary; nearly 80 percent of my early ratings are not congruent with my feelings today, admittedly. While it is true that reviews only represent immediate encounters, the continuum from which we struggle to affix them drifts across new lines based on a more informed perspective. One of the most respected critics of her generation was Pauline Kael, who wrote for The New Yorker for a period of 21 years and essentially shaped the climate for which modern movie critics, including greats like Roger Ebert and Janet Maslin, would approach their craft. Her method, in hindsight, was probably the most sound; she wrote critical essays on movies, filmmakers and actors that were deeply investigative, yet unburdened by any sort of ranking scheme. I recall being rather perplexed by the standard at the time. How would anyone remember exactly what she thought of a particular picture?, I thought. Ah, but to ask that question highlights the critical problem with being any sort of writer: if anyone wants to be read, absorbed or taken seriously in any capacity, the last thing that should be emphasized is the lowly star rating, which restrains not just the movies but also any analysis we might provide them. I think, after this long, the more important question is not why I refuse to go to a five-level tier of rating, but rather why I even use the system in the first place. It is clearly outdated, and irrelevant. Unfortunately, it is the appendix from which most of us have operated on for so long that to cut it entirely out would be glaring; so, too, would it be fruitless to refine the system with an additional star ranking, causing all past written endeavors to be put through a new level of scrutiny in order for the new structure to be universal. Who has time for that? If anything is to evolve from this puzzling notion, it’s that reviews – at least mine – will probably evolve just as the mediums that house them have. There continues to exist some inexplicable need for classification in everything (especially on the internet), so I am sure the standard will endure in some capacity. Perhaps the emphasis needs to drift into a bit more obscurity though, I dunno. I think very little about ratings I give to new movies, and I do not expect my readers to place faith in them. To do so would be to imply there are no gray areas in anything, which is boring. Think how quickly we all would lose interest in a spirited discussion of motion pictures if anything said was summed up by such monochromatic assessments. That is not why any of us read about film, much less write about it. 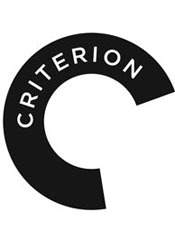 Note: a new upcoming series of movie essays on this blog, revolved around films in the Criterion Collection, will be the first series of film-specific written studies that do not use stars in any capacity. None of these films require such distinctions; they have long established a level of notoriety that makes them invulnerable to one-note rankings. This series of articles will begin debuting on Cinemaphile.org later this month.